I am using this sensor in Acro 3D more than 2 yars. Very precise ,easy setup . Bonjour Comme toujour produits fabuleux! Livraison rapide pour l europe sans suplement ...Merci a ..
One of the smartest buy for my heli. Used to sport fly 5 min by timer in my 550L. Now i can fly up t..
Great product. Easy to setup and install. I get about 1 minute longer flighttime now compared to u.. 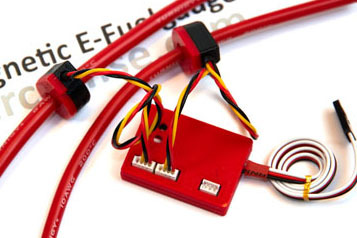 I bought several e-FuelGauges and I am very satisfied with them. Setup is quite easy and they work p.. I have been using one of these on my Synergy E7 for about 6 months now and this thing rocks! It's so.. I have been using one of these on my Synergy E7 for about 6 ..